Great news! CLIR funded the Rubenstein Library’s Hidden Collections grant to digitize the rest of the Frank Clyde Brown collection of wax cylinders and aluminum disks. These recordings of western NC singers and songs from the early 20th c. are a tremendous resource for historians, ethnomusicologists, and folk musicians as well as the current community members descended from the original performers. 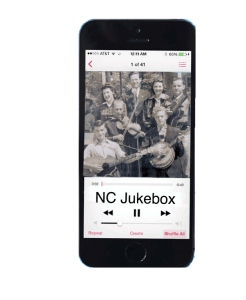 This will be a great boon to the http://ncjukebox.org project, which we started up this past Fall with a class centered around exploring, researching, and categorizing these materials for public sharing. This summer we’ll mount an exhibit in Rubenstein Library and present on the project to the SE Music Librarians Association conference in October.